Why Are There So Many Bankruptcies in Atlanta? Atlanta is experiencing record employment numbers, so why is it home to so many bankruptcies? 45,872 bankruptcies in Georgia last year (BLS)*. Georgia has the 3rd most bankruptcies in the country — surpassed only by California and Illinois (BLS)*. Almost a quarter of Atlanta residents have filed for bankruptcy ( Lexington Law)**. 21 percent of ATL residents are in debt due to medical bills and lacking health coverage (Lexington Law)**. It’s hard to believe these statistics exist in a state that Business Insider ranks as one of America’s Top 15 Strongest Economies, but Atlanta is a bankruptcy anomaly. How can we reconcile the seemingly flourishing Georgia economy with its above-average bankruptcy frequency? What can Atlanta residents do to overcome the challenges of their local economy? According to CBS News, Atlanta has the worst income inequality in America. No other city experiences quite the degree of lifestyle disparity found in Atlanta. The professional elite bring in over $300,000 a year, while impoverished locals earn $16,000 or less. Clearly there is a notable economic disconnect among Atlanta citizens, and unfortunately the divide continues to grow. The elite class unfairly skew the Atlanta economic outlook. The significant wealth brought on by mining, hospitality, and manufacturing professions is inaccessible to those without a college education. And so, the cycle of economic inequality is perpetuated — the haves further cement their financial dominance, while the have-nots struggle to achieve a livable wage. This means that, while the Atlanta job market and economy seem to be booming, it’s only paying out to certain people. The result: mounting bankruptcy claims despite a seemingly “healthy” economy. Higher-than-usual bankruptcy rates can’t be attributed to any singular cause. There’s no question that income inequality is contributing to bankruptcy, but that’s only part of a larger picture. Extenuating circumstances such as medical bills and unemployment are also driving factors. According to a Lexington Law survey, medical costs have been a significant cause of debt for 20 percent of Atlanta-area respondents. Unexpected illness and spotty insurance coverage were major contributors across all income levels. The same survey found that 14 percent of respondents have incurred debt due to job loss — the highest percentage of any other area polled. Bankruptcy offers a second chance to those who can’t afford outstanding debts. Debts are forgiven since creditors can be repaid by dipping into individual or business assets available for liquidation. But, this comes at a huge cost to credit scores. There’s no getting around it: bankruptcy is one of worst things that can happen to your credit. A credit score is designed to reflect your aptitude for repaying a loan, and bankruptcy provides a legal means of avoiding paying nearly all the debt you’ve accumulated. Understandably, lenders are not interested in working with consumers with a recent bankruptcy on their record. That doesn’t mean there is no coming back from bankruptcy. For one, the effects of bankruptcy diminish over time. While it will remain on your record for longer, someone with a 600+ score can expect to rebound within five years. Don’t worry — in due time, bankruptcy will completely disappear from your report. 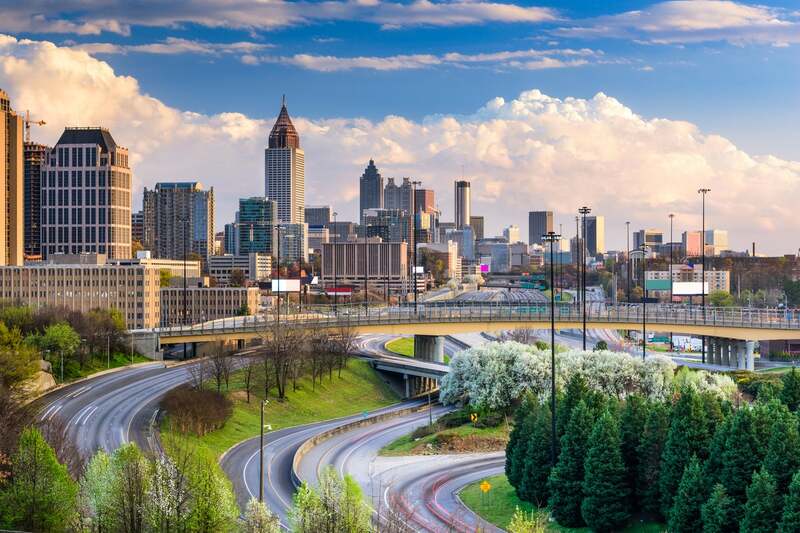 In the meantime, Atlanta residents can work to expedite a financial rebuild with the help of credit lawyers and leveraging available consumer laws and regulations. Professional credit repair is designed to identify and dispute unfair or unverified credit items and help clients rebound from a variety of financial challenges including bankruptcy. **Atlanta residents were asked to take part in a 2018 Lexington Law Five-City Debt Ratio Comparison Survey. Cities included: Atlanta, Chicago, Houston, Philadelphia, and San Antonio. This entry was posted in Life Events and tagged Bankruptcy, Credit Repair, finance, income. Bookmark the permalink.